This Limited Edition Project Runway machine allows you to take your wardrobe into your own hands by creating hip, fashion-forward clothing like that seen on the runway. 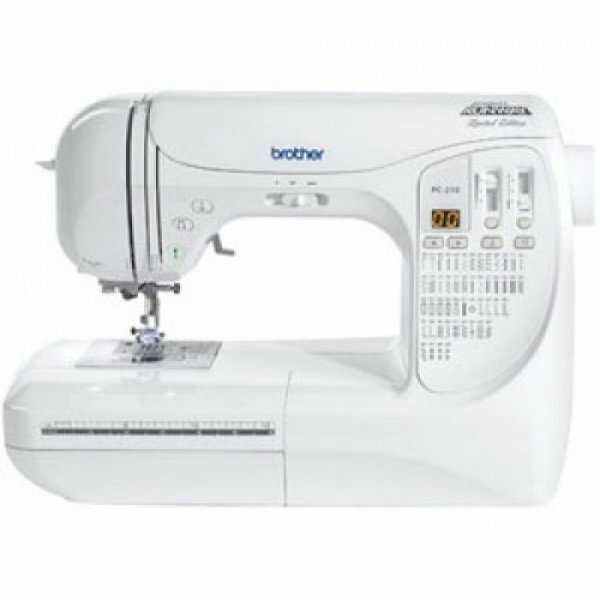 This computerized sewing machine is equipped with great tools for both beginners and experienced seamstresses alike inspired to create their own couture creations fit to pass the critical eye of the most discerning diva.The PC210PRW makes sewing fun and exciting. With the touch of a button, the LED screen displays the stitch pattern number. The needle position change function allows you to move the needle to the left or center making it easy to sew fabric at the precise point you need a stitch. 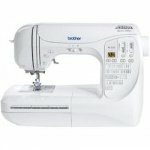 The Quick-Set™ Bobbin ensures fast and easy sewing without worry. All 50 stitches are available for reference whenever you need to make your next stitch. You'll soon be on your way to redoing your entire wardrobe with the PC210PRW!